l For the quantitative determination of Human CD45 concentrations. 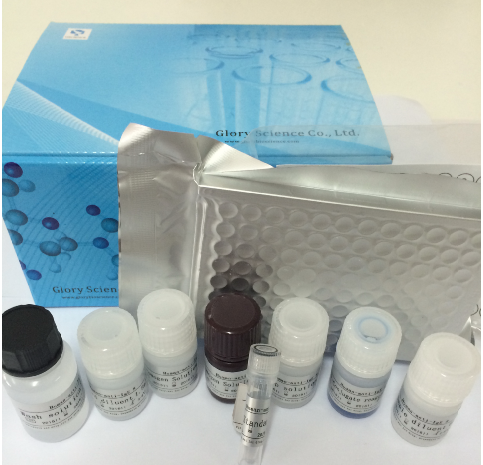 The kit is for the quantitative level of CD45 in the sample, adopt purified Human CD45 to coat microtiter plate, make solid-phase antibody, then add CD45 to wells, Combine CD45 antibody with labeled HRP to form antibody-antigen -enzyme-antibody complex, after washing completely, add TMB substrate solution, TMB substrate becomes blue color at HRP enzyme-catalyzed, reaction is terminated by the addition of a stop solution and the color change is measured at a wavelength of 450 nm. The concentration of CD45 in the samples is then determined by comparing the O.D. of the samples to the standard curve.